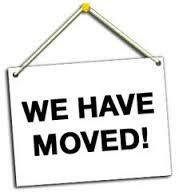 Joseph Patrick Moores Music News has moved to a new site and location. You can find the New News and Website HERE. Today October 22, 2013, Apple released Mavericks 10.9. This new OS update now includes “iBooks“. With the addition of the free ibooks app on your desktop computer, JPM’s “Read Music” enhanced book is now available for all computers. 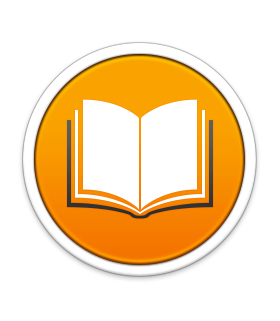 “Read Music” was originally released specifically for the iPad as an interactive ebook. With the addition of OS X Mavericks and iBooks, you can now experience this 250+ page enhanced ebook directly on your home computer (as well as iPad, iPhone, Laptop). Whether your a seasoned pro or a beginning musician, this enhanced interactive book is exactly what you’ve been looking for in learning how to read music. From basic elements to advanced concepts, this comprehensive 250 page book is filled with hundreds of audio examples, exercises, etudes and interactive self-tests designed specifically for the iPad and iBooks (Desktop Computer) and sold exclusively at iTunes. “Read Music” is written by Blue Canoe Recording artist, Joseph Patrick Moore. As a touring and recording artist, Joseph knows the importance of being a good reader and having this powerful skill set in your musical toolbox. JPM offers his diverse experience, sage wisdom and thoughtful insight in a well thought out, step by step approach in becoming a prolific reader and competent musician. The 39 Chapters include: Key Signatures, Rhythm Study, All Note Types, Simple/Compound Time Signatures, Syncopation Study, Ledger Lines, Reading in all 12 keys, Cycle Of Fifths, Reading Chord Charts, Chromaticism, Dynamics, Common/Advanced Terms, Double Stops, Sight Singing, Sight Reading Checklist, Complex Melodies, Intervals, JPM Excerpts, Advanced Solo Compositions and so much more. Indie Artist Producer Handbook is an electronic book (ebook) that is designed for all musical artists, bands, composers, arrangers, engineers and producers regardless of skill or current level of success. With over 100 pages of advice, tips, links and proven methods to help you succeed in achieving an overall balance between art and business. Now in its 3rd Edition and available for only $4.99. Co-written by: Buzz Amato (Curtis Mayfield) and Joseph Patrick Moore.